QBAC+ has quickly gained a global popularity, making its way from London to Doha and now Istanbul. Soon after the Qualified Angel Investor Course (QBAC+) concluded at the London Stock Exchange Group, development agencies in Turkey decided to make the programme available to their staff. Then the Qatar Development Bank hosted it in Doha. And now the programme is scheduled to run in Istanbul at the World Congress of Angel Investors for anyone wishing to become an angel investor. Even experienced angels have joined the programme and found it extremely valuable. What is it about the QBAC+ programme that makes it so popular in the angel investment world? Why is there such a great demand for this programme from both public and private sectors in global equity markets? In this interview, Angel Investor Review talks to Baybars Altuntas, Chairman of the World Business Angels Investment Forum about the world’s first certification course for angel investors, the Qualified Business Angels Course (QBAC+) of the World Business Angels Investment Forum. He describes how the course addresses both experienced and novice angels who want to develop and enhance their knowledge and skills. And how the course has already produced graduates in sessions from the UK to Turkey and Qatar. But there’s more. Have you wondered what the difference is between a business angel and an angel investor? Do you think angel investing is only for millionaires? Why is it a good idea for governments to support angel investors? Read on for information on how your institution can organise a QBAC+ training for your institution, and how individuals can sign up for the Istanbul-based session in Istanbul in February 2019. Let me first ask you about how this course came about. What was the motivation of the World Business Angels Investment Forum in devising this certification programme for angel investors — the world’s first? I should point out that the World Business Angels Investment Forum is an affiliate of the G20 Global Partnership for Financial Inclusion (GPFI). We know that angel investors are very important for fostering financial inclusion. And we know that education is a critical factor. 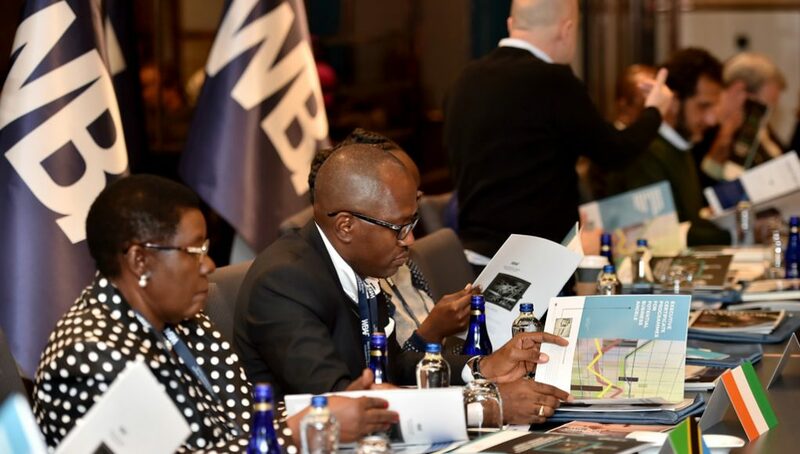 The World Business Angels Investment Forum firmly believes that, when investors have had the advantage of training in the best practices of negotiating deals for early-stage investment, they are in a better position to ensure a good return on their investment. WBAF has three broad goals for this course. It wants, first of all, to help increase financial inclusion in countries all around the world. It also aims to help investors leverage good and early returns on their investments, because this generates resources for more investment in more start-ups. And third, WBAF is keen to accelerate the conversion of public money to smart money so as to boost innovation. The course is designed to provide angel investors with both the knowledge and the tools that will help them accomplish their own goals as angel investors, which will in turn contribute to the achievement of the WBAF’s goals for the entrepreneurial ecosystem. As a global organisation, the WBAF is unique in its focus on a ‘smart’ approach to transforming the world’s economy to a smart economy — one that we believe will produce more jobs and more social justice. Converting public money to smart money is very important for today’s governments. There is only one way to make it happen. Governments need to co-operate with angel investors and benefit from their know-how, mentorship and networking. But until now, there has been no system to measuring the knowledge and know-how of angel investors. Why is it good for governments to support angel investors? It makes good sense, because angel investors are qualitatively different from other sources of financing available to entrepreneurs. Angels provide both financial and non-financial support. Other investors or sources of finance (crowd-funders, bootstrappers, banks, VCs, private equity funds, co-investment funds, wealth management institutions) put in only money. Angel investors are able to provide much more than money. They contribute their know-how, mentorship and networking, too. That’s why they are recognised as key players in early-stage equity markets. How do governments support angel investors? First of all, they develop a legal framework. Tax incentives are offered to angel investors that have been licensed by the government. And sometimes they provide matching funds. There is, however, a gap in the system. Governments require documentation from angel investors that certify they are high net worth individuals. This might be a bank statement or documents that prove ownership of assets. That’s all fine. But let’s say, for example, that my 95-year-old grandmother receives $2 million from my grandfather as inheritance after he dies. With that amount of money, my grandmother can technically be recognised as an angel investor and licensed by the government—because she meets the net worth requirement. What is risky, however, is that my grandmother, if she becomes a licenced angel investor, will be recommended to start-ups who are looking for an angel investor—someone who should be able to offer know-how, mentorship and networking. But what kind of know-how will my grandmother be able to provide to a start-up ? How can she possibly provide mentorship? And what sort of network does she have to share with start-ups? I know some government officials may say, ‘We also ask for biographical statement of the individual, not just bank statements’. But we have to realise that a half-page biography will never tell me whether this individual knows how to conduct due diligence, how to calculate company valuation, how to manage exits and various related strategies. And even if they know about such things, will they have knowledge about concepts such as ‘double dipping’, and how having this as part of an agreement with an entrepreneur can make a big difference in returns? Most likely, the answer is ‘no’. Why did you feel the need to organise a course? I think my grandmother story probably gives you a good idea about why a certification programme is needed—and one that also had a formal tool to assess knowledge and skills. A course is an efficient way for angel investors to expand on their existing knowledge and skills, which will make them more effective as an angel investor. And with an organised programme, we are able to bring in some of the finest experts in the field. This is a fantastic opportunity to learn directly from the masters. Looking at the course descriptions, I see that there are different levels of certification. Can you tell us about those? Qualified Angel Investor Certificate: Participants who score between 90 and 100 are recognised as Qualified Angel Investors, and they finish the course programme with distinction. Accredited Angel Investor Certificate: Participants who score between 71 and 89 are recognised as Accredited Angel Investors. Silent Angel Investor Certificate: Participants who score below 70 are recognised as Silent Angel Investors. They are invited to re-take the exam after they join an angel investor group to practise their investment skills. Is there a difference between a business angel and an angel investor? I’m glad you’ve asked that question! In the entrepreneurship ecosystem, angels are investors who have themselves been entrepreneurs and who invest in early-stage start-ups by providing up to $500K and contributing their know-how, mentorship and networking. It’s really just a question of different labels: in Europe, they are called business angels, and in the US and Canada, they’re called angel investors. We sometimes hear the term business angel investor, too. WBAF accepts ‘business angel investor’ as the most comprehensive terminology to define angel investor activity. To me, the meaning of ‘business angel’ is somewhat narrower than ‘angel investor’. Anyone who provides mentorship and opens his or her network to entrepreneurs is a business angel. They share their know-how, but it doesn’t necessary mean they provide money. On the other hand, with the term ‘angel Investor, it is clear that money is part of the equation. So, to me, ‘business angel’ suggests that only non-financial instruments are offered, but an ‘angel investor’ provides both financial and non-financial instruments. You’ll notice that WBAF uses the term ‘angel investor’ in the name of the course: Qualified Angel Investor. We wanted to make sure that anyone holding this certificate is keen to put up his own money as well as know-how, mentorship and networking. Back to the course for a minute: What does it cover and how does it work? Before the course starts, all participants receive a coursebook and supporting materials. They are encouraged to read through the materials before the course starts. The first day of the course has 2 main sessions: the morning session is an introduction to the angel investment market. We include becoming an angel investor, identifying opportunities, and creating a portfolio of investments. The afternoon session deals with due diligence and risk management techniques. The morning of the second day treats setting the deal terms, valuing the business, negotiating the deal, creating term sheets and other paperwork, conducting the negotiation, post-investment governance and deal monitoring. The afternoon covers new funding rounds, exit strategies, the role of government and policymakers, and setting up a business angel network or syndicate. The third day will have only a morning session: Participants take the proficiency exam on this day. After the exam, they have time to discuss the case study that they received before the course started. Then we have an ask-the-angel-investor session, where an experienced angel investor holds an open forum with a Q&A format. Participants can ask anything they like. Finally, there is a brief certificate ceremony. Do you think experienced angel investors should also attend this course? A lot of angel investors learn how to make good investments by doing it—they learn as they go along, learning from their mistakes in the process. And I know most angel investors make their investments in the traditional way. For example, most angel investors put 100K for a 20% share of the company, so they get 200K back when company gets a 1M investment in the future from a third investor. But, if they knew, for example, about double-dip techniques when they make an angel investment, they would get 360K as a return on their investment instead of 200K. So, I think it’s smart to make investments with knowledge about the many ways they can be done. Learning by doing is fine, but taking advantage of accumulated knowledge in the form of a course is much more efficient. There’s no need to re-invent the wheel! And it’s never too late. Even angel investors who have made lots of investments have plenty to learn, and this course is one way for them to expand on their experience and knowledge. What was the profile of the first cohort? It was really very diverse. Renata Brkic is a well-known social impact investor in Croatia. She received an award a few years ago for the Best Impact Investor of South East Europe. She is now a co-founder of an impact fund. She attended the course to increase her knowledge and skills that will help her to increase funds for her own fund in Croatia and to drive the post-investment process more professionally. Dr Sabetha Mwambenja is the former CEO of Eximbank Tanzania and is now leading an angel investor group in Dar Es Salaam. After 14 years as CEO of one of the biggest banks of Africa, she is now focusing on early-stage equity markets because she sees a great potential in this field in her own country and Africa in general. Hauwa Yabani is the CEO of the biggest technopark run by the Nigerian government. She attended the course to learn the general flow of an angel investment from start-up to exit. She wants to launch a women angel investor group to invest in start-ups and scale-ups in her technology park. She is also a former board member of the Spain-based International Association of Science and Technology Parks (IASP). Tina Allton lives in the UK but is committed to empowering the economy of her home country, Ghana. She believes the economy of Ghana will develop faster through start-ups and angel investors. She wants to launch an incubation centre in Accra, and she attended the course to learn how to make better company valuations for start-ups of the incubation centre. Mohammad Ramin Komeilian is a well-known angel investor in Iran. He started making angel investments when he was living in Canada. After returning to Tehran, he initiated the first angel investor network of Iran and has invested in many start-ups. He attended the course to reinforce what he already knows, to fill the gaps in his knowledge, and to get a Qualified Angel Investor Certificate. Can you give us an example of a public-sector institution that offered QBAC+ to its personnel? What prompted them to do so? For example, a QBAC+ Closed Group Training recently took place in the Southeast Anatolian region in Turkey. Three of Turkey’s 26 regional development agencies are in the southeast of the country: the Karacadag Development Agency in Diyarbakir and Sanliurfa, the Dicle Development Agency in Mardin, Batman, Siirt and Sirnak, and the Ipekyolu Development Agency in Gaziantep, Adiyaman and Kilis came together with the Southeast Anatolia Project Regional Development Administration for the QBAC+ training in the city of Diyarbakir. The Karacadag Development Agency coordinated the event. Each development agency sent 10 participants from their region to the course. Three of those 10 were staff of the development agency and 7 were chamber of commerce members who met the criteria for potential angel investors and who were interested in investing in start-ups. (The list of criteria list was provided by the World Business Angels Investment Forum.) The 7 potential angel investors were selected after phone interviews. The QBAC+ Closed Group Training was delivered in Turkish. Can’t people invest if they don’t have a certificate? EBAN’s 2017 statistics reveal that 320,000 angel investors invested 9.6 billion EUR last year in Europe. ACA statistics reveal that 340,000 angel investors invested $26 billion last year in the US. Since this programme is brand new and is the only one of its kind in the world, it is evident that none of those thousands of angel investors had a Qualified Angel Investor Certificate, and most of them were not licenced by their government as angel investors. Clearly, holding a certificate or licence is not a ‘must’ for someone who wants to make angel investments. However, it goes without saying that a training programme which decreases the risks and increases the return of investment for angel investors carries considerable importance. Learning by doing is something very different from doing after having learned. One more question. Is angel investing only for millionaires? Actually, that’s a popular misconception. The EBAN statistics can give a really clear answer for this question. Last year’s 300 thousand angel investors invested 9.6 billion EUR in start-ups and scale-ups. This means the average investment for each angel investor in 2017 was around 30K EUR. So you see, you don’t need millions to become an angel investor. The typical investment worldwide ranges between 5K and 100K. How does WBAF support these certified graduates after the course? After the course, all graduates become members of the Qualified Angel Investors Committee of the World Business Angels Investment Forum. We created a special WhatsApp group for graduates, and they receive every update about the industry instantly. We will organise a mini certificate ceremony on the main stage of the World Congress of Angel Investors on 18 February so that they can be introduced to world community of investors, private equity funds and wealth management institutions. They are fresh graduates of the programme and fresh investment committee members of the World Business Angels Investment Forum. 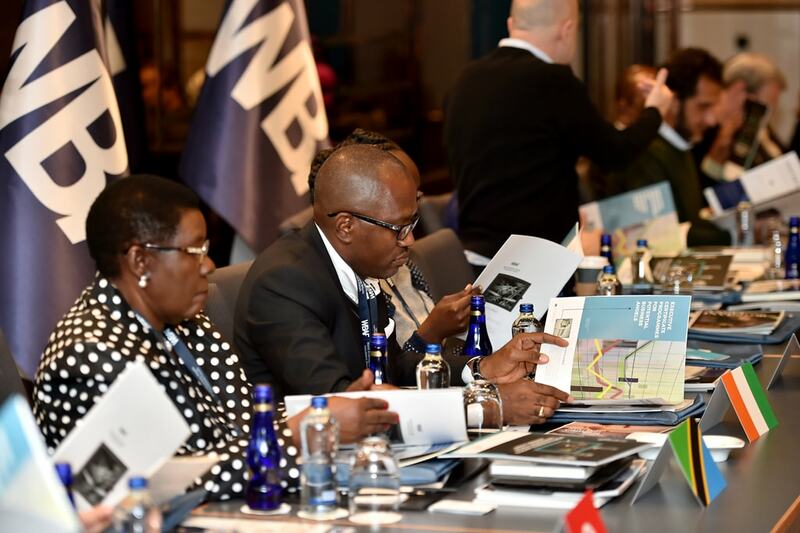 Even after the course, WBAF keeps them well connected with each other and with the world community. When will the course be offered again? The next course will be immediately after the World Congress of Angel Investors WBAF 2019, at Istanbul’s Swissotel The Bosphorus. The Congress is on 18 and 19 February, and the QBAC+ course is 20–22 February. Anyone planning to attend the Congress can therefore easily attend the QBAC+. How can they book a place on the next course? The objective of the course is to introduce the angel investment system to those considering investing in start-ups, SMEs and high-growth companies, using their own money and their own know-how. The course aims to give the basic principles of angel investment and the do’s and don’ts for investing as a qualified angel investor. For anyone new to angel investing, this is an invaluable course that covers the most important aspects of investing and tips on how to avoid the many pitfalls new business angels often encounter. Identifying suitable deal flow for the individual investor: learning how to source potential deals, investing in individuals rather than businesses, and ensuring a potential deal fits the investor’s portfolio. Best practice for structuring, managing and exiting an investment, including valuations and deal closing, establishing a win-win relationship with the entrepreneur, and making a return. Understanding your place in the world of angels, looking at other stakeholders in the start-up ecosystem, the value of angel groups and syndication, fund structures and crowdfunding. CEOs or other professionals from listed companies and individuals who can invest a minimum 5,000 EUR a year. anyone who has an entrepreneurial background and who can invest at least 5,000 EUR a year. university students, start-ups, and entrepreneurs who want to learn what angel investors are looking for when they invest in new businesses. directors of business angel networks. professionals in technoparks and acceleration and incubation centres. anyone who wants to set up a business angel network. anyone who wants to create a business angel investment group by using their own network. anyone who wants become a professional business angel network manager/executive. investors and entrepreneurs who wish to learn the best practices of global VC and venture development. corporate executives that manage innovation and corporate ventures. M&A and business development executives. entrepreneurs who are raising capital or planning exit strategies. successful entrepreneurs interested in becoming an investor or advisor. members of boards of directors. policymakers wishing to encourage the creation of clusters of innovation in their region. service providers: attorneys, accountants, and consultants. QBAC+ training is organised upon the request of corporates of private sector or institutions of public sector who want to enrich the knowledge of their staff about angel investment. The training is usually conducted at the premises of the institution or corporate or, if they prefer, a meeting room in a hotel, university, chamber of commerce or stock exchange. The maximum number of participants accepted for each training is 25. QBAC+ Closed Group Trainings can be delivered in English or in the local language of the participants. Training in English lasts 2½ days, which includes a case study and a proficiency test at the end. The level of certification (Qualified Angel Investor, Accredited Angel Investor, or Silent Angel Investor) is determined by the test results. Training in the local language depends on the availability of WBAF faculty members who can lecture in the local language. It lasts 2 days, and there is no case study or proficiency test. Participants will receive a Certificate of Attendance for the Qualified Angel Investor Course.